Lake and Porter counties require Northern-grade RFG. 7.8 psi gasoline is required in Clark and Floyd counties from May 1-September 15. Other counties in the state, except for Lake and Porter, sell 9.0 psi RVP gasoline on a retail level from May 1-September 15. The Indiana Office of Energy Development and the Indiana Corn Marketing Council administer the Hoosier Homegrown Fuels Blender Pump Program (HHF Program). 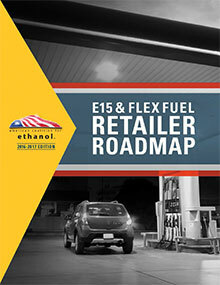 The HHF Program provides grants to increase public fueling infrastructure availability for higher blends of ethanol. Funds are available to eligible applicants for 70% to 79% of the purchase price of E15 to E85 blender pumps and related hardware. Qualifying dispensers must be available for public use and must dispense higher ethanol blends for a minimum period of five years. For more information about the application process, see the HHF Program website.